One of the last ships built for the Castle Line before its merger with the Union Line, Braemar Castle was a product of Barclay, Curle & Co., of Glasgow. 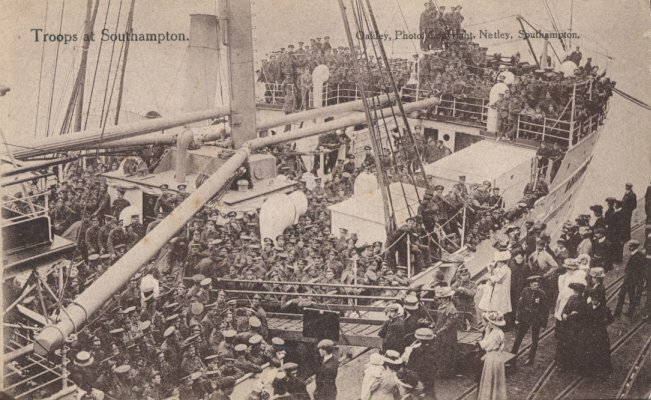 Destined to spend most of her career in Government service, she was delivered in the summer of 1899 and placed on the line's intermediate service from Southampton to South Africa. When Union-Castle was created in March 1900, Braemar Castle remained on the merged line's intermediate service, although her British base was moved to London. 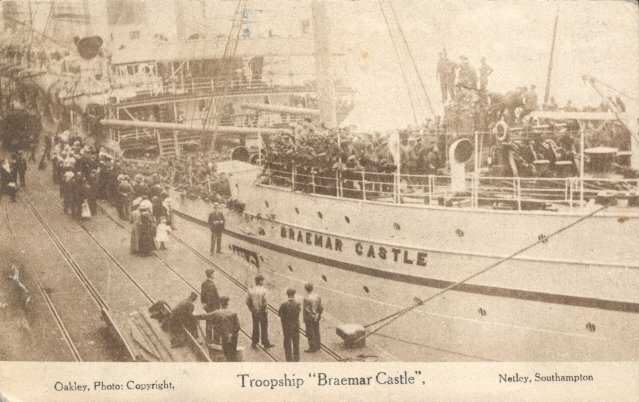 From 1909 on, when she became a peacetime troop transport, Braemar Castle was used almost exclusively for military purposes, except for one commercial voyage for Union-Castle in 1920. During World War I she served in a variety of roles: cross-channel troop transport for the British Expeditionary Force (1914); troop transport for the Gallipoli campaign (1915); and hospital ship (from 1915). In November 1916, while serving as a hospital ship, she struck a mine in the Aegean Sea, and was repaired at La Spezia (after being towed to Malta, where she waited unrepaired for three months). In March 1918, Braemar Castle was sent to Murmansk, Russia, and spent nearly a year there as a base hospital for British and French troops engaged in the Allied Northern Campaign. She returned to Russia in 1921 and, carrying patients and non-Russian medical personnel, was the last non-Russian ship to leave Archangel. She was later used to transport troops to Turkey and Cyprus during and after the 1922 fighting between Turkey and Greece. Braemar Castle made her final trooping voyage in September 1924 and was then sold for scrapping in Italy.